ARE VOLUMETRIC MIXERS MOBILE BATCH PLANTS? Volumetric mixers are mobile concrete plants – flexible, versatile and ready to go whenever needed on a job site. Quickly and easily set up concrete production on job site and starting pouring within an hour. No waste, no wait and the exact design mix every time. Easy set up – drive to the location and you’re ready to go! Change design mix on site as needed – no need to wait or waste material. No licensing – replace your “transportable batch plant” and starting pouring in an hour. Move the batch plant around on site – take the batch plant to the pour area. Fast clean out – separate materials storage on the unit means a quick clean out. No space limitations – use on any size job, even remote or hard to get to sites. Economical and reliable solution – no wasted materials or employee downtime saves you money on every pour. Size of job does not matter – produce 400, 100 or 20 yards a day with the same mixer. Easy to operate – the driver and mixer operator can the same person. No foundation/frame or infrastructure set up required – move whenever needed. 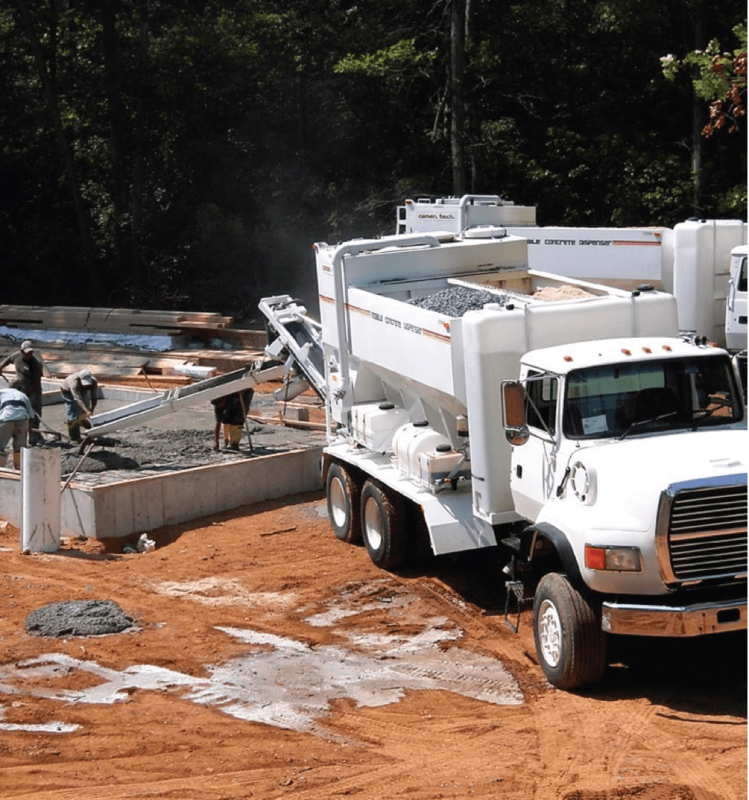 Fill drum trucks quickly – fill your barrel trucks fast and efficiently with fresh concrete on a job site with a volumetric mixer .